By organizing a cross-division shoe drive, sophomore Ben P was able to collect and donate approximately 200 pairs of shoes to people who really needed them in the community of La Carpio in Costa Rica during Service Week. Sadly, there was still a line of people down the street waiting to get shoes even after they were distributed. "It really shows how lucky we are and should motivate us to help those who aren't." Ben said. "Thank you to everyone who has contributed. 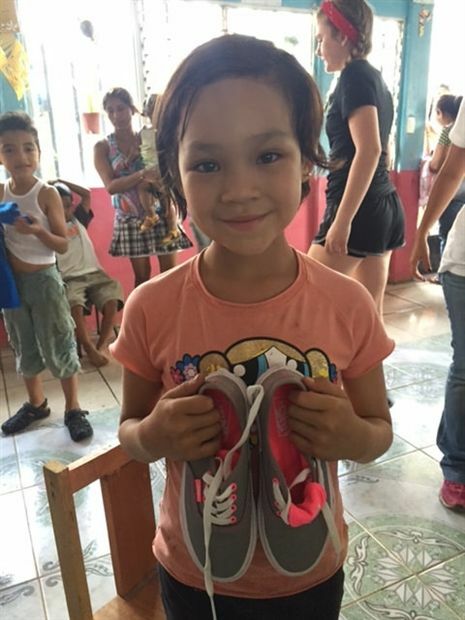 After our first week of collecting shoes for the kids in need of La Carpio, the students and families of Middle and Lower Schools provided 49 pairs of shoes ranging from Crocs to Converse."